ROGER WOLCOTT SPERRY was born in Hartford, Connecticut on August 20, 1913. Sperry was imprinted on the mind-brain problem at a very tender age through a chance reading of William James, probably around the age of 10. For the next half century, his focus was unwavering and his connection to psychology central to his thinking and research. A more tenacious researcher, a better designer of elegant experiments, and a more intellectually demanding thinker would be difficult to find in the history of psychology and science. His ideas have made a permanent impact on neuroscience, neuropsychology, psychology, philosophy, and society. Sperry was one of the intellectual giants of the 20th century. 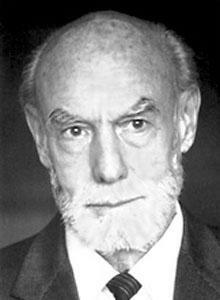 Sperry, Board of Trustees Professor of Psychobiology, Emeritus, at California Institute of Technology, died at the age of 80 on April 17, 1994 in Pasadena, California.